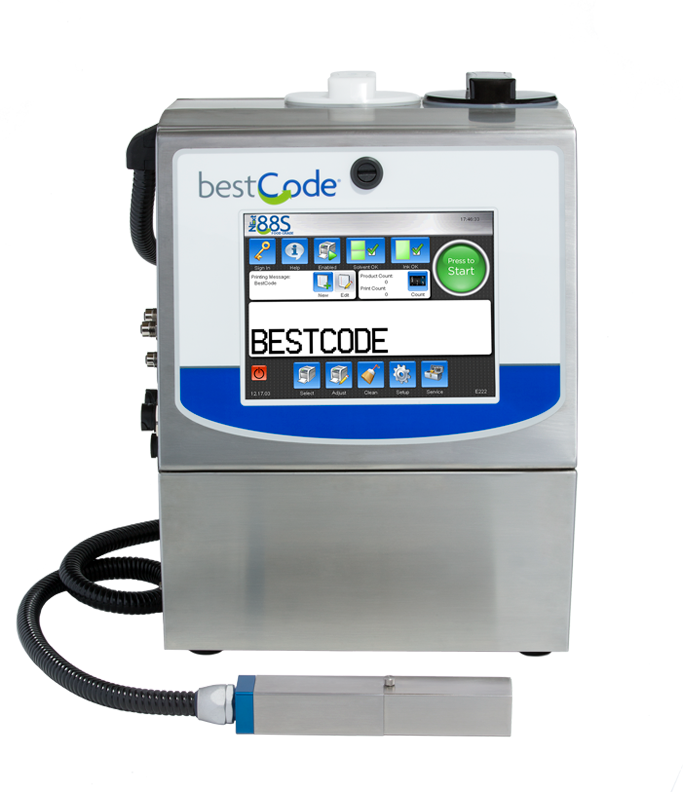 The BestCode Model 88S Opaque is targeted at applications that require high contrast printing inks on dark colored substrates. Print 1, 2, 3, 4 or 5 lines of text, barcodes or graphics. This model is typically used in high speed wire and cable applications as well as PVC pipe extrusion, automotive parts, cosmetics and other dark colored substrates. Print in a variety of colors — White for dark colored substrates and Light Blue, Aqua Blue, Silver/Gray and Pink allowing printing on dark and light colored substrates with one system.